E-commerce giant Alibaba has paid more than $500 million for a stake in a leading state-owned Chinese securities firm, getting a hold in a lucrative industry after its previous efforts were stymied by regulators. Alibaba Group Holding Ltd. paid 3.5 billion yuan ($512.3 million) for shares in Huatai Securities Co. Ltd. issued through a private placement that raised more than 14.2 billion yuan to bolster the brokerage’s balance sheet and working capital, according to filings with the Shanghai and Hong Kong bourses late Friday. The internet behemoth, which holds a 3.25% stake in Huatai’s enlarged share capital, is now the brokerage’s fifth-largest shareholder. Huatai did not specify what role Alibaba will play following its investment. A vice president of the investment banking department of a listed securities firm told Caixin that the two companies may cooperate in businesses such as online broking and artificial intelligence. Alibaba operates online marketplaces such as Taobao.com and controls Ant Financial Services Group, which owns Alipay, a leading online payment services provider. 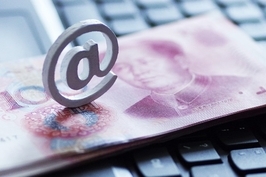 The Hangzhou-based company has long sought entry into the securities and investment banking industry as it seeks to expand its financial empire with Ant Financial at the center. Yunfeng Financial Group Ltd. , controlled by Alibaba Chairman Jack Ma, bought 56% of Hong Kong brokerage Reorient Group Ltd. for HK$2.7 billion ($344 million) in 2015. But Ma’s efforts to gain a foothold on the Chinese mainland’s securities industry have been slow in making progress. Ant Financial’s attempt in 2015 to take a stake in Shanghai-based Tebon Securities Co. Ltd. went nowhere, with media reports last year saying that regulators had suspended the acquisition application indefinitely. In 2016, Reorient and two other partners agreed to invest 3 billion yuan to set up a joint venture called Yunfeng Securities on the mainland, but the deal has yet to be approved by Chinese regulators. Tencent, another Chinese technology champion that operates WeChat, the country’s dominant social networking platform, has pulled ahead in the competition for shareholdings in mainland securities firms. Last year, it paid HK$2.8 billion for 4.95% of the enlarged share capital of China International Capital Corp., the country’s top domestic investment bank. 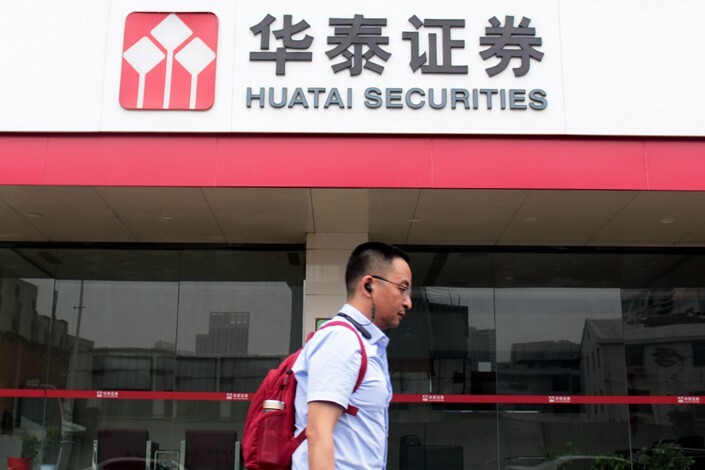 Huatai had revenue of 5.5 billion yuan in the first half of this year, the third highest among all Chinese securities companies, according to figures from the Securities Association of China, the industry’s government-backed self-regulatory body. 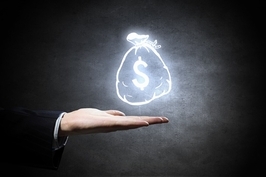 Five other companies took part in Huatai’s private placement. Home-appliances retailer Suning.com Co. Ltd., which also runs a leading e-commerce platform, paid 3.4 billion yuan for 3.16% of Huatai’s enlarged share capital. The remaining investors were Essence Securities Co. Ltd., China Structural Reform Fund Co. Ltd., Shanghai Beixin Ruifeng Asset Management Co. Ltd., and Sunshine Property and Casualty Insurance Co. Ltd.
Jiangsu Guoxin Investment Group Ltd., the investment company wholly owned by Jiangsu province’s state-assets watchdog, remains the de facto largest shareholder, although it did not take part in the private placement.